This includes preparing and updating file memos, building case binders, discussing key material, assigning follow up activities, compiling document lists, and a variety of other tasks. This work spans across several team members including lawyers, paralegals, law clerks, and administrative support, thus requiring good communications across teams. These litigation teams face key challenges in managing these documents on a consistent basis, especially when said documents generally trigger work assignments which must be tracked. Enter Primafact. 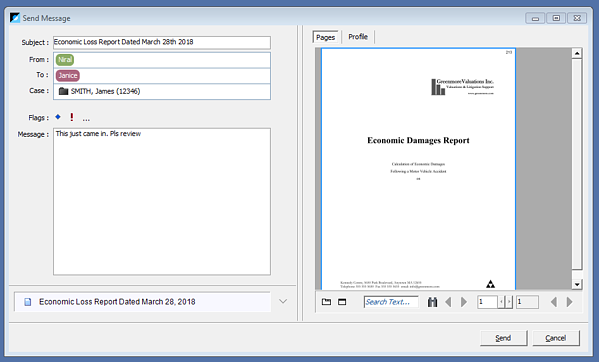 Primafact is designed to manage high volumes of evidentiary documentation involved in personal injury cases, and lets you group document-related activities into tasks so that lawyers can stay on top every step of the way. This blog post outlines key file development functionality available in Primafact to help litigation teams better manage their files and keep them moving forward. A new case document has arrived at the office. The first step in this document’s journey is to route it to the proper handler for filing, and notify the owner of its arrival. Primafact’s Intake module is designed to streamline new document arrivals, regardless of volume. These documents can be imported into Primafact from email, desktop, scanner, Windows Explorer, or directly from the Intake module. Once the document has been imported, it can then be redirected to the proper handler for easy filing. 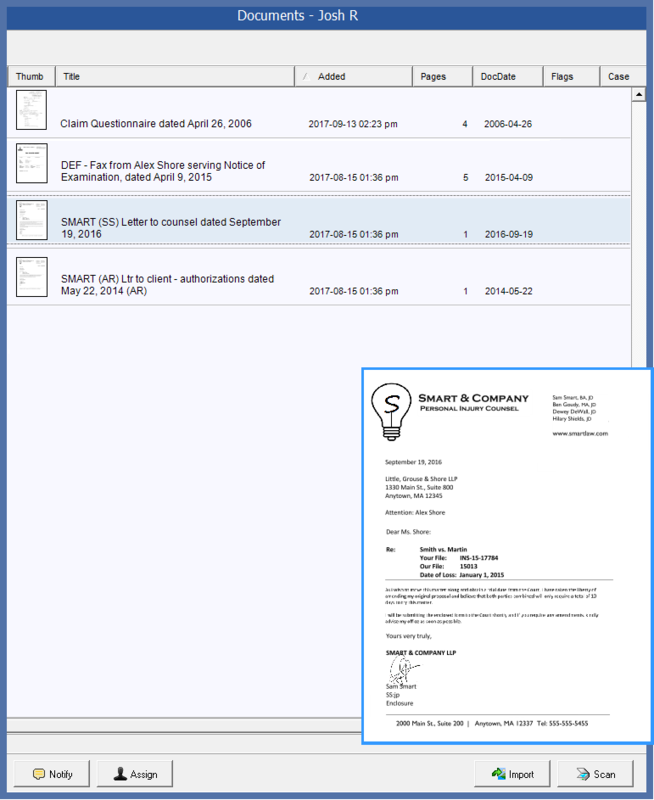 The Intake module integrates with Primafact’s new in-app document messaging– making it easy to notify file owners that new documents have arrived. Pro Tip: Primafact’s batch coding capability makes it easy to group multiple documents together for more efficient processing. 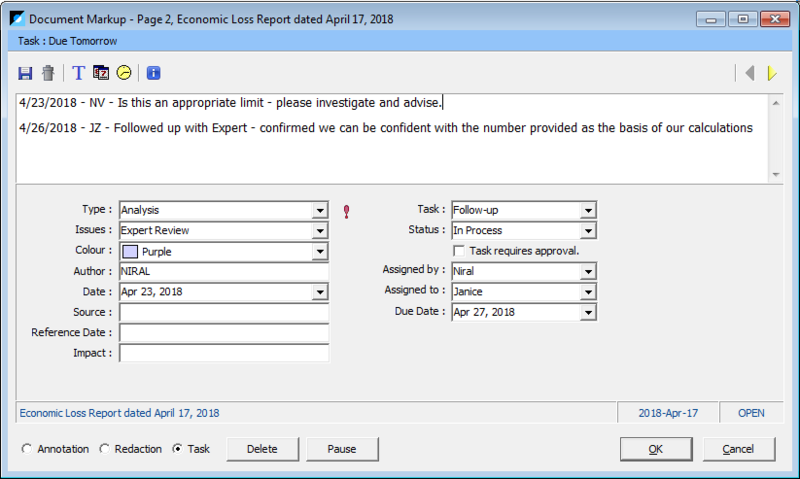 Receiving a new document will likely result in a follow-up activity required by the team to complete by a certain date. 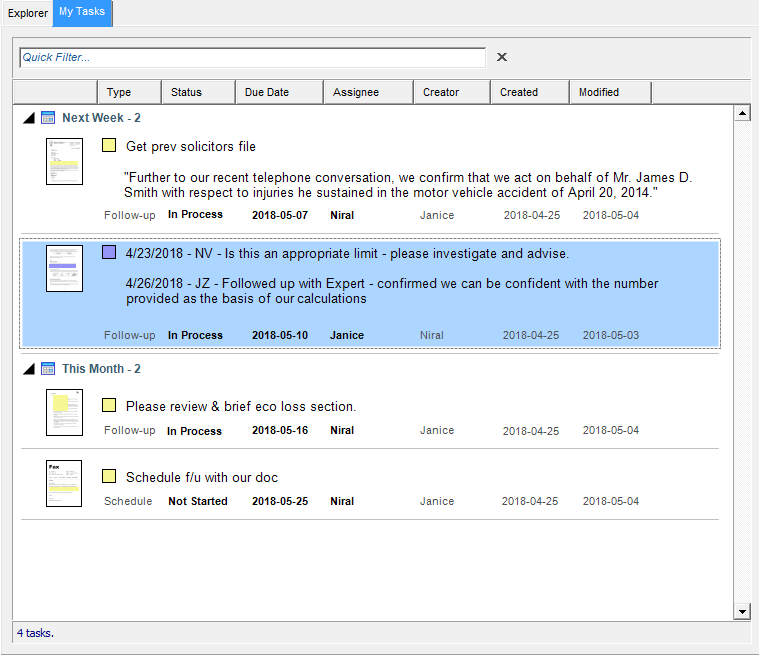 Task Management tools in Primafact let you create, manage and track tasks linked to your case documents. 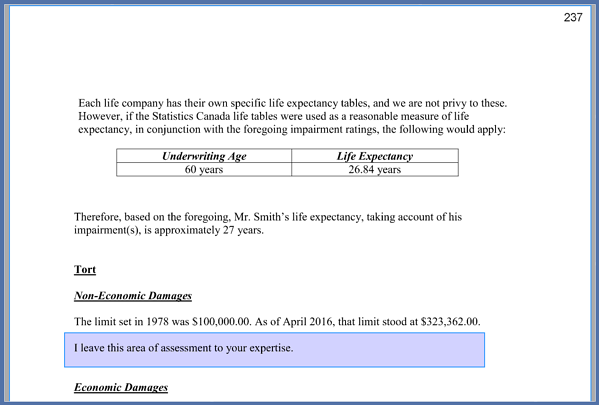 Using a click of the mouse, you can highlight a specific excerpt on the page of the document to markup as a task. From here, you can assign tasks to yourself or other users, provide a due date and instructions, and colour-code for ease of identification. You can even code by issue to consolidate issue-related activities. 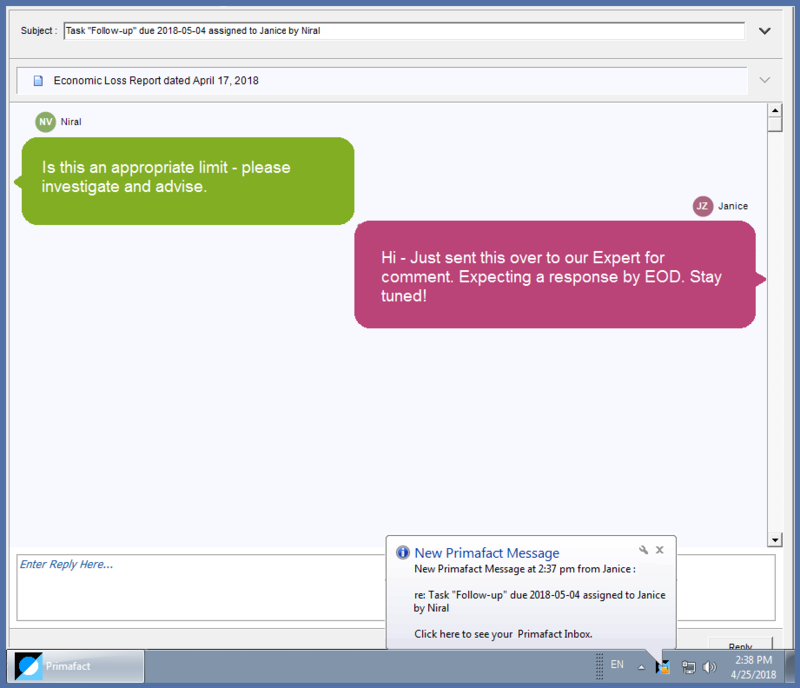 If you create or assign a task assigned to another team member, they will be notified in their Primafact Inbox. They will be able to review both your note and the related document, and reply back using the in-app messaging. Team members will be able to review this and other tasks created, delegated, or assigned to them across all cases on the My Tasks tab. Tasks can be sorted based on chronology, due date, status, and issue. Follow-up notes can be added to the document markup to keep track of what has been accomplished on the document. 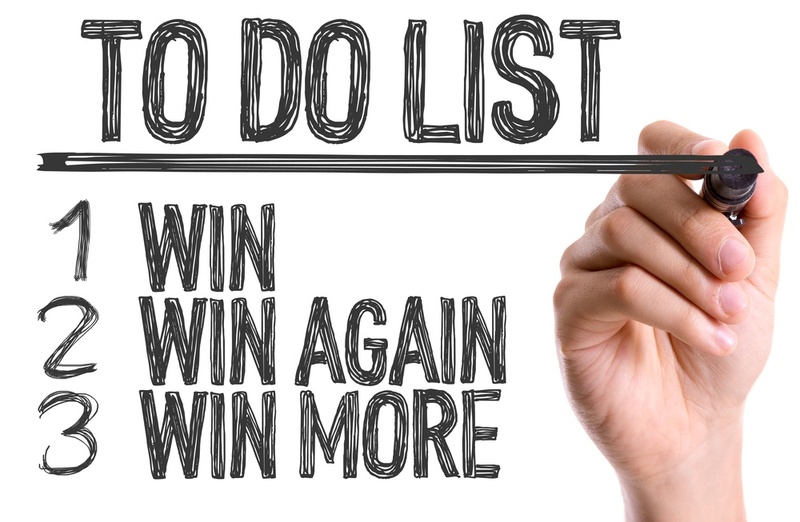 Review meetings with the litigation team using Primafact Tasks are fast and efficient. You can review all tasks assigned to a case on the Task View of that case. Tasks can be organized in a variety of ways, including by document, issue, person, and date. As you go through your case review meeting, the statuses of Primafact tasks can be tracked and updated in real-time as the task progresses towards completion. There is something to be said about making staying connected to the office while on-the-go. Primafact offers litigators the ability to review documents and assign work remotely using their mobile devices. Read our blog post on this subject to learn more about how Primafact can boost your on-the-go productivity. 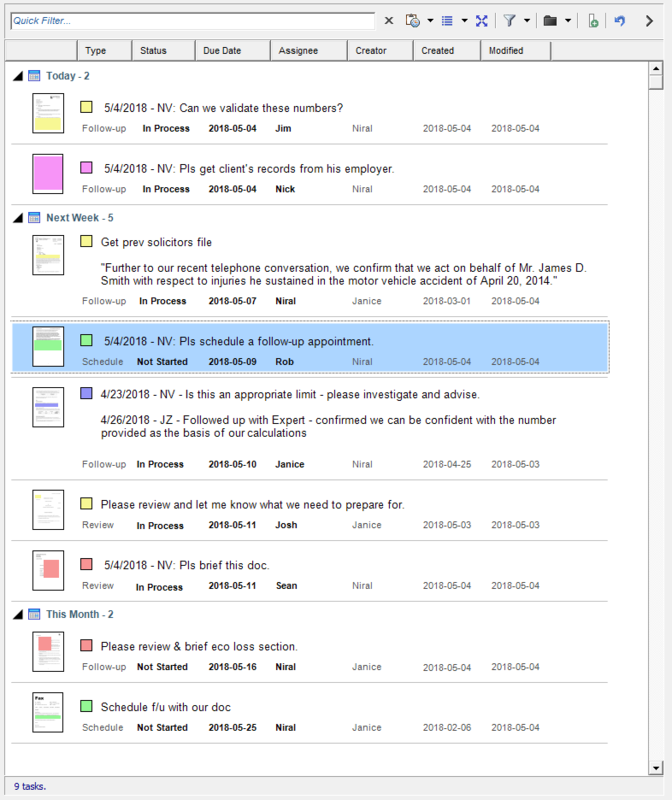 Work delegation tools in Primafact let you distribute key tasks to staff, monitor file development activities and easily review status; so you can keep the file moving forward at all times. Performing file reviews is fast and thorough– allowing litigators to focus on what matters most to their case outcome.